With the increased mental and physical stress, yoga has become one of the best ways to relax oneself after a long, exhaustive day. It is the increase in the relevance of yoga in the 21st century that yoga schools have become one of the most sought after institutions. As a yoga teacher, delivering the best to your students should be your top priority. Here are a few steps you, as a yoga teacher, can take to ensure you deliver the very best to your students to ensure the benefits of yoga are maximized. Whenever you can, practice. Keep your skills at their best by practicing whenever you can. Spend your free time at home sharpening your yoga moves that you might have learnt in your course of learning and consequential research. This will make you an updated teacher who can easily perform moves learnt over time. Practice in particular improves one’s confidence and allows you to manipulate the standard yoga practices to suit your student’s individual needs and in overall improves your performance as a teacher. It is also from individual practice that teachers get to develop their own unique curriculum that stands out for their individual students. 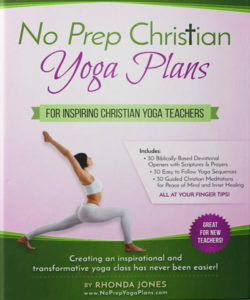 It is true that as a teacher you’ve had your fair share of education on the field of yoga. It is however undisputed that no single teacher has all the knowledge in a particular field. With this in mind, as a yoga teacher, even after completing your official course, read more and research as must as you can to improve your knowledge and skills on this field. Attend workshops, get supplementary classes online and specialize as much as you can in your particular niche. This will ensure you get new skills that will constantly keep you relevant. Do not restrict yourself to a particular school or have a very restricted teaching technique. Teach yoga whenever possible. If you could, start teaching from home by involving those near you in your classes. This will help you build your confidence and give you the perfect chance to practice with the allowance of making a mistake since your first students will be close relatives or friends. Once you get an official teaching avenue, which may not be your ultimate dream school, grab the opportunity and d your best. This will build your resume as a yoga teacher and open vast doors for you with time. One of the most vital key points for succeeding as a yoga teacher is to maintain your original personality. You may have a mentor, which is actually advisable, but try maintaining your personality in your classes. This will greatly improve your performance as you will not be trying too hard to emulate a yoga teacher that you probably look up to. 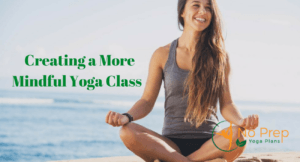 This will increase the genuineness in your training and will help yoga students learn that there are phase in learning with yoga and you don’t have to know everything, all the time. While studying to become a yoga teacher as well as while practicing your yoga, try as much as you can to establish networks with as many people as you can. This includes yoga enthusiasts, yoga students and even those who have no clue what yoga is. This will give you a pool of persons you can interact with and attract to your practice. This will also be an avenue for brainstorming, learning, teaching and also interacting to ensure your yoga practice impacts as many people as possible. Understand the people you teach yoga. Different types of people understand different methods of teaching. Understand the type of yoga students you have and appropriately research on their best teaching methods and tools. Interact with them even outside school and maintain a close relationship as their yoga instructor. This will make them be comfortable around you and the greatest key to success in practicing yoga is comfort. It is no doubt that being a yoga teacher comes with its fair share of challenges. This makes it an even further interesting profession as it allows constant learning and interaction. On top of all this, as a yoga teacher, you get to keep your body, mind and emotions in a perfect state while practicing what you have spent years studying for. 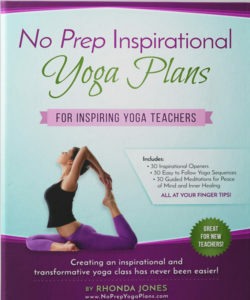 Next PostCreate a Yoga Class Lesson Plan in Just Minutes with No Prep Yoga Plans!